You will need a mini muffin tray and mini patty papers! I love the combination of chocolate and caramel don’t you? 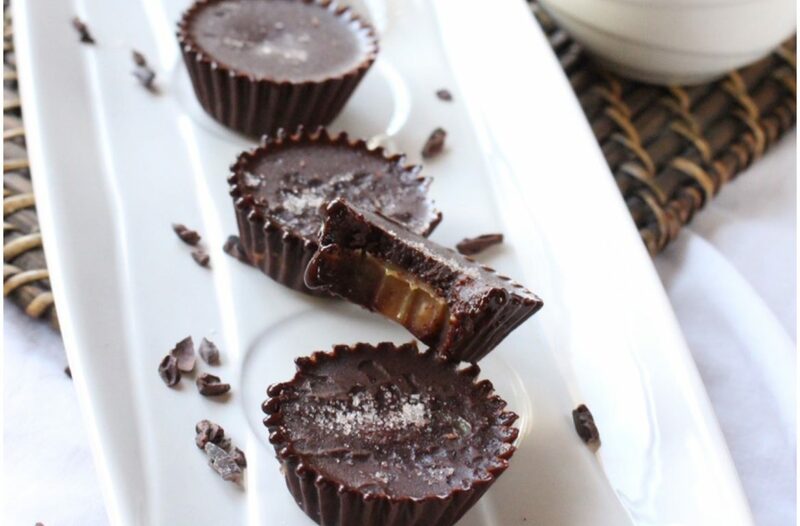 Each chocolate caramel cup has the surprise of sticky chewy caramel in the centre!! Not so great to make in the heat that is for sure! However “a girl has gotta do what a girl has gotta do” for some chocolate of the healthier kind. It is best to make the caramel first and give it time to cook and cool down before making the chocolate. Mix all ingredients together in a saucepan over low heat and stir every half hour. Cook for 2 – 21/2 hours until thick and sticky. Then spoon into a glass container, allow to cool. 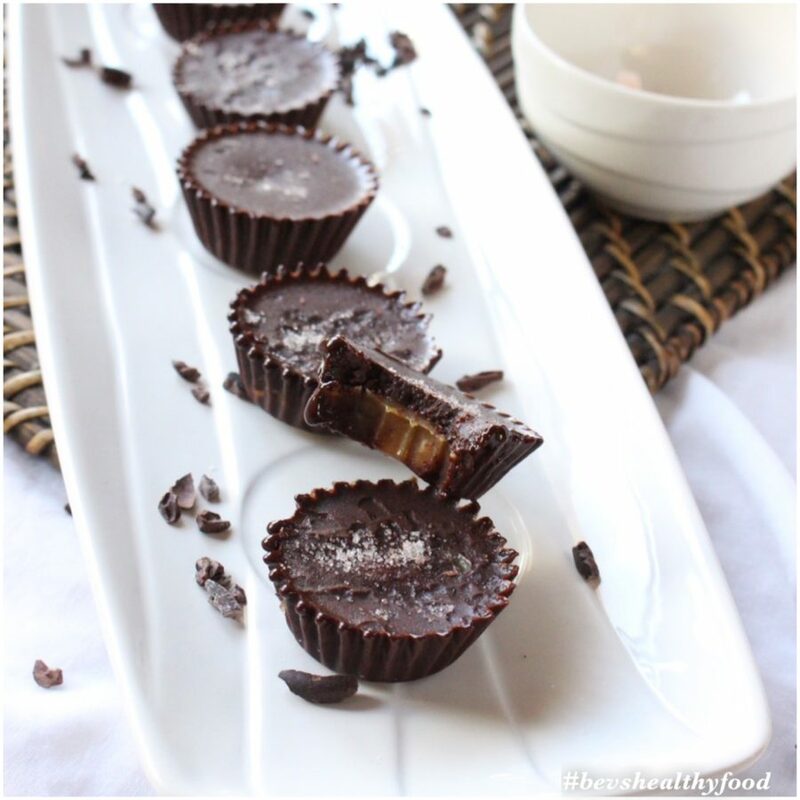 Make the chocolate in a double boiler, or create a water bath using a heat safe bowl and a pot of boiling water. Whisk the coconut oil, cacao powder, vanilla , rice malt syrup and cacao butter until well combined. Pour chocolate into a jug for easy pouring into the patty papers. Place patty papers into the mini muffin tray and then pour chocolate in to cover the base of the patty papers. Then dollop a tsp of caramel mixture on top of the chocolate base. Pour remaining chocolate over to cover the caramel. Place into the fridge to set! You are going to love these, they are very moorish! I love hearing from you. Let me know how you like them?